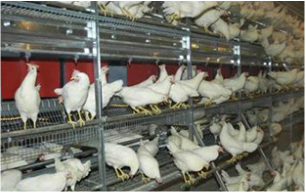 ​we help people build Commercial Poultry Operations. At Superior Poultry Supply we provide first-rate chicken house construction with unbeatable costumer service so you don't have to worry about anything but raising your chickens and growing your profits! We proudly own our own equipment, hire our own employees and are an authorized Chore-Time dealer, and also represent many of the industry's leading vendors. ​Our experienced team and complete customer focus is what makes us the right choice for your business needs! 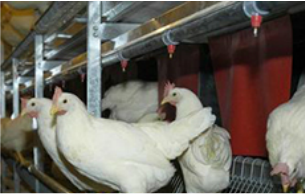 Visit with BA Funding — the leading industry experts when it comes to Commercial Poultry Financing! Our poultry and business experts know how to finance new construction, retrofits or simple re-financing. We have funding experience that dates back to 2001 and provide a full menu of financial services and capital sources, including SBA, USDA and FSA. Our qualified team of experts are here to help with the “business side” of the poultry industry long after loan closing, from advising to tax. 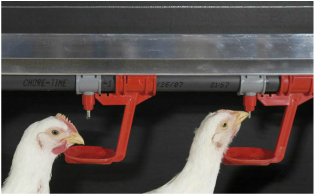 We only use the most advanced feeding and drinking systems on the market today from the most reliable vendors around. Our team sets up your chicken farm with the controls and software needed to manage your chickens easily and effectively. No matter how many houses you need, or how much space you have, we build facilities in a timely manner and cost efficiently.